In addition TDC62 Bandung events, Tokotype Designer’s Gumpita Rahayu, designed a one-of-a-kind visual identity for this exciting exhibition in his hometown, inspired by Bandung’s culture, trends, and lifestyle by creating a flexible three display typefaces. The World’s Best Typography: TDC62 exhibition made its second stop in Indonesia this month. After a successful August opening in Jakarta, the West Java city of Bandung became the second city in that country to host the show. ADGI (Indonesian Graphic Designer Association), John Kudos of KUDOS NYC, and Maranatha Christian University Bandung provided support and space for the weeklong exhibition, which also featured two typography lectures by graphic designers Aswin Sadha of Thinking Form, Eric Widjaja of Thinking*Room, and Gumpita Rahayu of Tokotype. 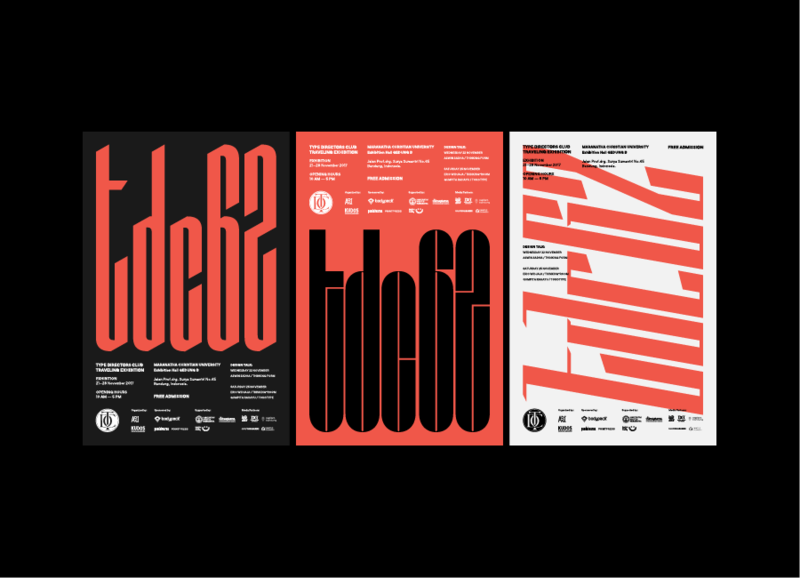 In addition to speaking at TDC62 Bandung, Gumpita designed a one-of-a-kind visual identity for this exciting exhibition in his hometown, inspired by Bandung’s culture, trends, and lifestyle. Posters for Type Directors Club exhibition in Bandung, designed by Gumpita Rahayu of Tokotype. His first typeface, “B-North”, was influenced by northern Bandung, home to many diverse artistic venues. 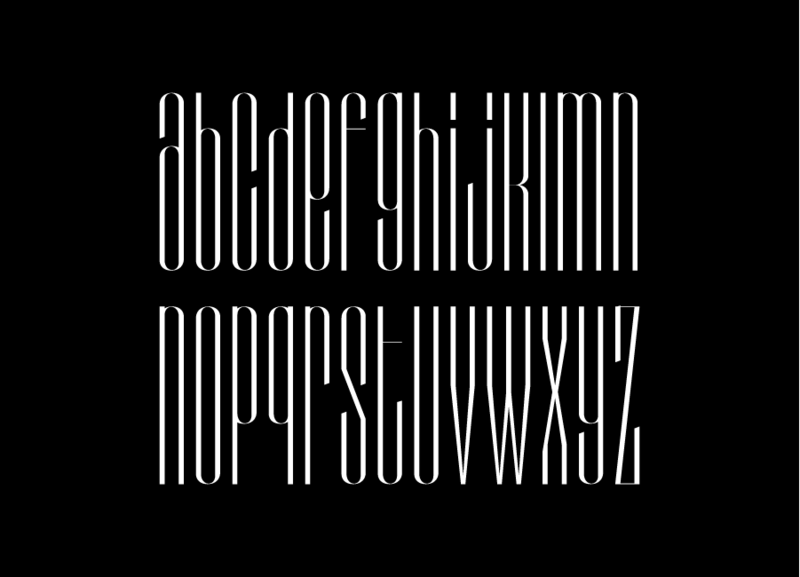 The letterforms refer to the shapes of classical fractures with high contrast, refined to its fullest. B-North typeface, designed by Gumpita Rahayu of Tokotype. The second typeface, “B-Central”, recalls his memories as a young student learning the trade of graphic design by observing the works of Nebau, Büro Destruct, and others. It was an interesting period in Bandung when many high-spirited teenagers began to publish posters, street art, and even produce indie clothing lines downtown. B-Central typeface, designed by Gumpita Rahayu of Tokotype. 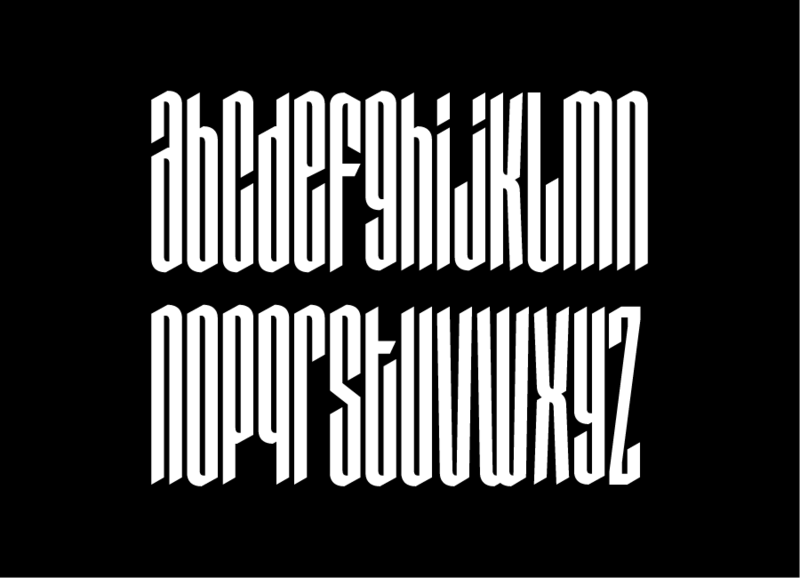 The last typeface, “B-Modest”, represents the laid-back characteristics of Bandung’s lifestyle. The high contrast and modularity reflect the fashion, lifestyle, and tight-knit communities of the city’s inhabitants. 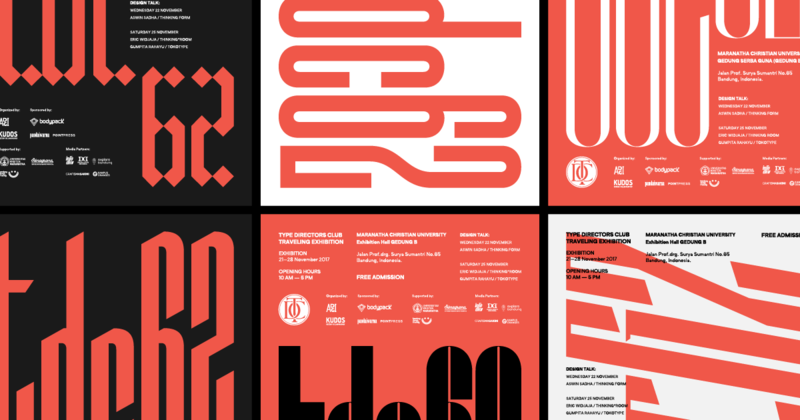 The three typefaces are blended in the custom marketing and promotional materials for TDC62 Bandung. All share the same modularity, matching widths, and x-heights. The condensed family allow different types of content to fit neatly within any communication format. By being so flexibile, the three typefaces not only allowed Gumpita to maximize typographic texture and give every one of the show’s posters, cards, posts, and badges a genuinely local touch. Original articles by Type Directors Club, many thanks for Inko Sakti Dewanto & John Kudos for the text and reference.